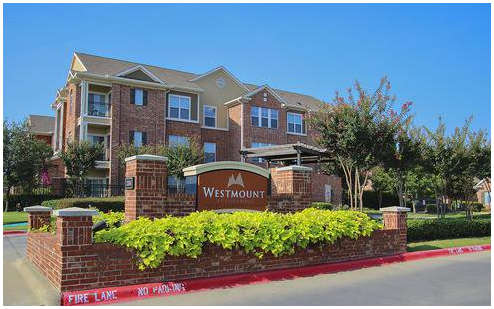 ​LEWISVILLE – Westmount Realty Capital has sold Westmount at Vista Ridge, a Class A garden-style apartment community located at 2241 South Business Hwy. 121. The community, which was constructed in 2006, consists of multiple three-story buildings with 270 units and 291,240 sf, situated on 11.7 acres, with 23 units per acre. The Denton Central Appraisal District values the asset at $29 million​. Positioned in close proximity to DFW Airport and the Hwy. 121 Office Corridor, the community’s location offers retail shopping with Grapevine Mills Mall and Vista Ridge Mall nearby. ​Want m​ore data? See DFW Multifamily Market Research.